True beauty is achieved when a great idea collides with exquisite details. 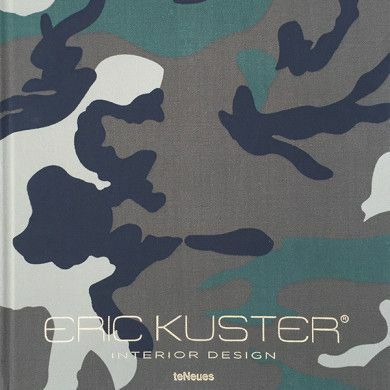 This rule is evidenced in the work of international interior designer Eric Kuster. When entering one of his interiors, you are hit by the initial visual impact. Then, as you spend time in the space, you find yourself in a continual state of discovery, with every subtle touch and nuance becoming clear. In addition to exclusive residences from Curaçao to London, his projects also include yachts and hotels, as well as commercial projects, ranging from legendary Amsterdam club Jimmy Woo to Barcelona’s Camp Nou Stadium. Kuster consistently exceeds the expectations of his clients, who are as picky as they are prominent. He succeeds by ensuring that individual elements are as impeccable as the whole. From every textile to each piece of furniture, and each artwork to every color combination, absolutely nothing is left to chance. Indulge in Interior Design to experience Kuster’s sumptuous environments for yourself and discover unique interior design inspiration.